French Press coffee has never looked so good and tasted so right. I have been a long time convert to the GSI Outdoors Commuter Javapress (along with their JavaMill hand grinder) when it comes to having coffee my way. 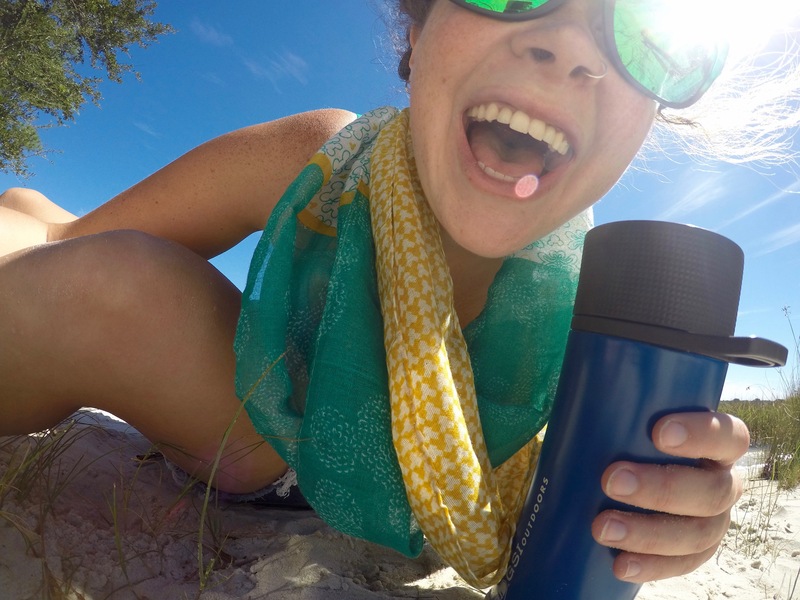 That travel mug completely changed the way I drink coffee. 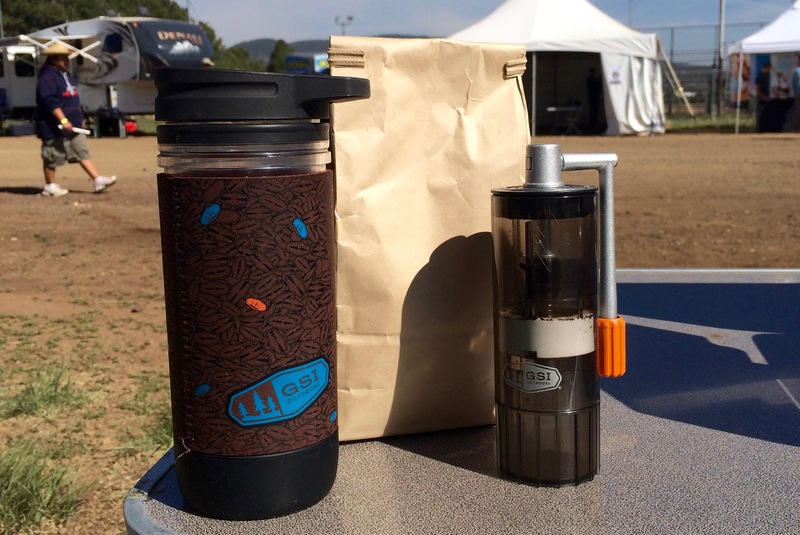 How is it different than your more ‘run of the mill’ travel French press? You can actually remove the lid AFTER you have pressed your coffee. In my opinion, this is the most important advancement in the evolution of the travel French press. Ever. Why? Most all travel French press lids must remain on after pressing the grounds as they hold the press plunger in place. This seals your precious liquid away from any modifications such as cream or sugar, unless you want to get crafty and try your hand at pouring these things through the spout. Want to stir in those fixin’s? Not going to happen. If you try to pull up the lid to get to the goods, you are upsetting the grounds and potentially allowing them to slip over the mesh screen, sending you into cowboy coffee land. Even still if you are not doing anything to upset the precarious balance of the plunger, over time that screen will warp around the edges, and grounds will find their way into your coffee. None of that breeds the serenity that coffee is meant to deliver into your life. I still stand behind how amazing the Commuter Javapress is, but there are two areas that I felt could use a bit of a tweaking to create the ultimate perfection in my on-the-go coffee drinking addiction. I wanted to be able to grip the inside press cup without needing to have the lid screwed on. This would make it easier to remove the press cup for clean up, and not put added stress on the threads of the lid. I also wanted a leak resistant system. In the event that I pressed my coffee too quickly, or over filled the base cup with water, some coffee would inevitably escape over the rubber gasket and find its way into the gap between the two mugs. As there isn’t an additional seal on the plastic cup, the rouge coffee would eventually make an exodus on to my lap while my attention was elsewhere. My saving grace here was removing the outer silicone sleeve to observe the pressing process, and to alert myself ahead of time if any coffee had slipped in to the danger zone. 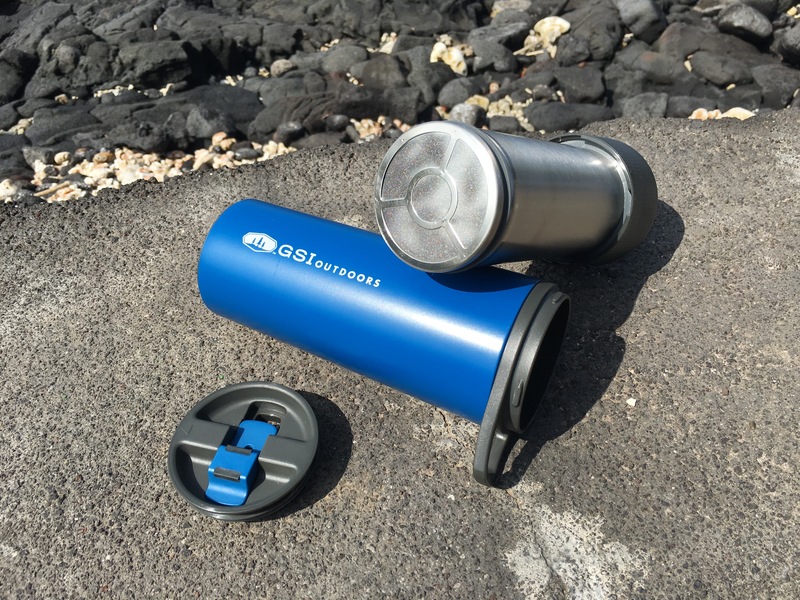 Low and behold, GSI Outdoors one upped themselves and created the truly ultimate travel French press. 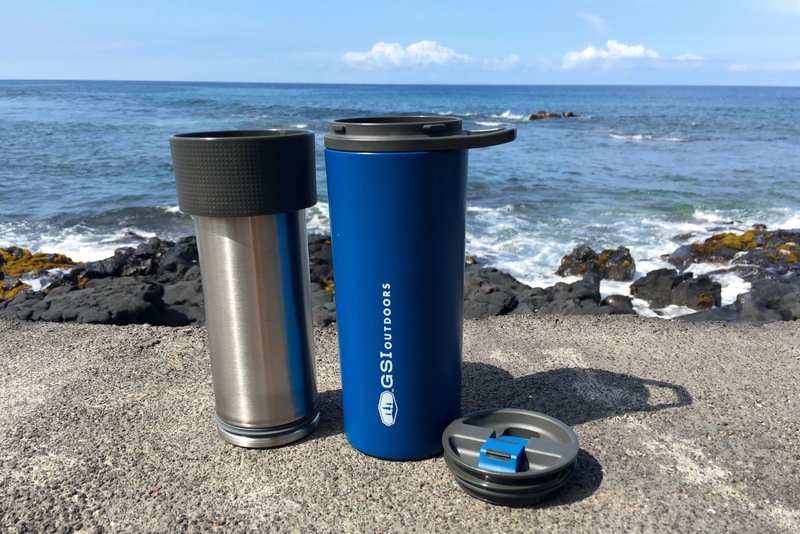 The GSI Outdoors Glacier Stainless Commuter JavaPress is the most bomb proof travel French press mug I have had the pleasure of delivering my coffee delight. Not only is it super leak resistant, but there is now a wonderfully wide rim on the inner press mug to make taking the press apart foolproof. To combat the potential leak issue, GSI Outdoors created a way for the press to trap the excess coffee by locking it away. If you take a look at the grey plastic rim on the outer blue cup, you’ll see a few small plastic ribs. After pressing your inner cup, these ribs align with their respective hosts on the underside of the plastic top for the press cup. Once these ribs are seated, twist slightly to tighten the press cup to the locked position. GSI Outdoors also went ahead and added some handy arrows to help you align your cups into their locked formation, as well as with the lid. This may sound tedious at first, but after your maiden coffee pressing voyage, it will feel as natural as breathing. 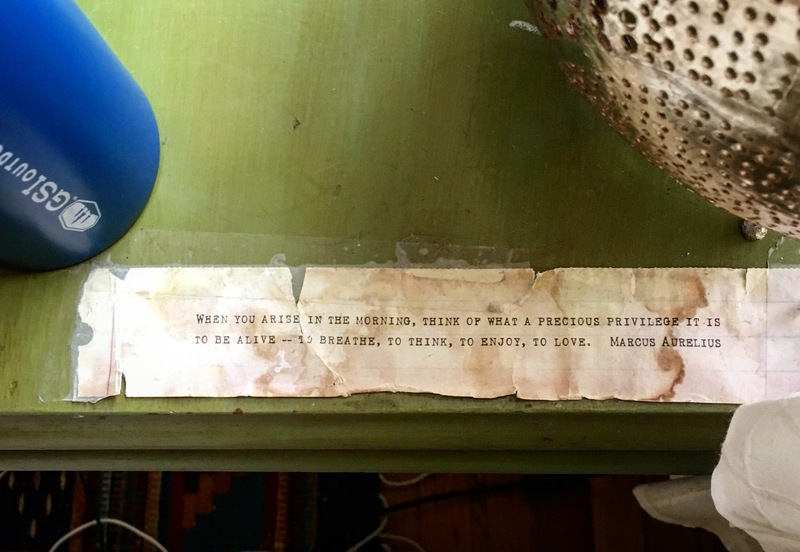 Which, I know for myself, is as unequivocally important as drinking coffee. One more reason why I love GSI Outdoors is that they include a well written instruction manual, complete with illustrations, with your press to ensure your coffee experience is top notch. You can even find it online HERE. Want your coffee hot? You got it! With the vacuum sealed stainless steel outer mug you are looking at 3 hours of hot coffee. Just keep in mind that as with any vacuum seal, you can break the seal if you drop the mug too hard on its edge. There is a non-slip foot on the bottom of the press to help it stay put on whatever you are using as a table. As I am very accident prone, I put a beer coozy on the mug while stored to help with this potential mishap. However, this mug has experienced its fair share of abuse while being packed away in my scooter panniers, and is still happy as a clam. The other fantastic aspect about the press cup is the wire mesh screen: It’s strong! With my five month scooter adventure and daily use of this cup, the screen hasn’t warped or pulled away from its original shape. The way it is attached to the stainless steel has left very little room for any pesky grounds to get stuck in it either, so clean up is a breeze. The only potentially sneaky zone for cleaning is on the inside of the press cup, on the underside of the molded ridge, where the rubber gasket sits. I have been using the perfectly mini sponge that comes in the Gourmet Kitchen Set 11 for my clean up with very happy results. I can honestly say, I think this is it. This is going to be the french press you will find me buried with. As I have been returning to 4-wheeled transportation, this beauty even fits perfectly in my cup holder. There has yet to be an instance where the Glacier Stainless Commuter JavaPress has let me down, and I don’t see that ever happening. And so I say; rejoice! Your coffee is safely locked, loaded and ready to impassion your day. MSRP: $34.95 Buy now on Amazon! Nice review of the Stainless Commuter JavaPress! I’ve been looking for a better solution than Via instants for lightweight wilderness travel for a while now. Thanks, & BTW, looks like you had quite the scooter adventure.